The Future of Furniture - Part 7 What Do The Kids Want? In the previous episodes of this series I wrote about changes in materials and techniques that will affect furniture design going forward. I have also laid claim to the premise that the younger generation isn't much interested in the furniture of the past --- for at least three reasons: changes in the way we live; changes in how frequently we move around; and cost. As for doing it yourself, time (or rather the lack of it: we work longer hours now) is a factor, as is the low cost of disposable furniture). And of course the disappearance of shop classes in school that potential DIYers need not only a design to make things, but also a willingness to spend time on the learning curve. There might also be at least one more significant issue: unlike previous generations, modern young adults move away when they are young, many to colleges from which they never really return home. In college, they live in dorms, and post college, they share space in small apartments in the city. But, most significantly unlike previous generations that lived with their parents until marriage, today's young people aren't marrying young and setting up a home with much fanfare. The couple might already have furniture, maybe nothing special, inherited from some earlier lodging, and more importantly it's common to prioritize expenditures on other things - debt, rent, adventure and even the wedding itself. Despite the title of this entry, I don't want to presume that the future of furniture is just young people setting up households once in a lifetime. Our society has disparities of health and resources, but a sizable number of active people in their various stages of life (including their seventies and eighties) who have changed circumstances that might inspire furniture purchases. So an "S" shaped sofa for two isn't on the list. But what is? Considering how transient young people are, would easily movable campaign furniture be welcome or not? Do people need furniture that is primarily adaptable, or just disposable? Or are we due for a newfound appreciation for lasting furniture, in one of the inevitable swings of the pendulum? What do you think? If you would be so kind, ask around. Ask young folks just getting out of school. Ask couples in their thirties building their first house or apartment and just starting a family. What do they use furniture for? And I am leaving out kitchens? Is furniture disposable and not worth consideration? Are they worried that anything they buy they will have to move? Do they design their space for function and work out what furniture is needed? Or does one buy or inherit a bunch of miscellaneous stuff and sort it out in the rooms as best as possible. Do people still want desks, chairs, dining tables, or sideboards? Let me know in the comments. In other news, we have some interesting additions. New books and Pride sharpening stones are on their way. We have some new Osmo products - a new, easy-to-apply Polyx Matte 3031; new Wood Wax Finish colors; new sizes of Oil Stain, UV Protection Oil and Polyx Effects Neutral -- and with other new Osmo en route. We're also hosting a free Osmo workshop at our showroom on Saturday&comma; April 27th. Long time since I was young but I strongly suspect the 'answers' depend on who you ask. Any one starting out needs a bed, a couple of chairs, a table to eat at, some bookcases and a place to hold a TV/audio/video/gaming gear. And a comfortable chair or chairs. And inexpensive (usually means used). Later comes fancy. Oh, and a place to hold clothes - dresser, closet. That's it. Later on in life - well, it gets complicated and I won't go there. One constant (for me) is the book case. Always need the darned things but hard to find GOOD stuff. Have to make it. Knockdown would be nice. Cheap would be nice. I recently needed two desks for my kids for homework and storage. I searched Craigslist and the sheer number of desks for sale, their high quality and low price, all blew me away. With phones and laptops, desks aren’t in demand like they used to be. Both desks I bought were vastly higher quality than something from IKEA, and lower in price, too. Clearly, as tastes change there is a used market with quality items so you don’t have to spend a fortune on new heirloom furniture or the take time to make it yourself. As always, when it comes to trends, there are multiple factors at play. In general I would say that younger people want fewer things, but want those things to have provenance. They want to know who built it or where the tree came from. It is an extension of the idea that experiences trump things.... If a thing has a story or an experience of its own, it is better than a thing from a factory. Of course that stereotype is most applicable to urban professionals (actually most of your post is, I think). There is still a large segment of americans in “flyover country” who marry in their early 20s and start families. But they are more likely to be buying newer homes that were built with storage in mind (closets, basements, etc) so there is less need for traditional casework. Your analysis of what young people want is much like our local city planners, who have decided that young people do not want cars; that they will be happy forever with public transportation. Based on this analysis they have allowed construction of large buildings with small apartments and minimal parking. Over the last few years many of the older people in my neighborhood have moved out of their homes, to be replaced by late 20 to 30 year olds with children. They all have two cars and I notice vans of brown furniture being emptied to fill their new homes. I don't know where you live but in NYC the reason we have tall buildings and small apartments is that there is a huge demand for places to live and city planning has always been responsive to developers. (rightly or wrongly I say wrongly). Nationally car ownership is going down. That being said certainly nobody is suggesting that young adults won't move into larger houses and have two cars and buy furniture. But as I wrote about in previous chapters of this saga, these folks aren't buy antiques, and the room functions and furniture have changed. What that change is and will be, and how furniture will change with it is what interests me and why I am working on this series. I seriously don't know the answer. Although I am not in the younger spectrum (26 or younger), I am not in the elder spectrum either (I am 36). I work with mostly younger professionals and this is how they think. What can I get fast, and cost effective? This is a culture that mostly uses Amazon Prime, as do I, so they are used to “two days or less”. They don’t feel like they need to wait a few weeks or months for a desk or bookcase when they can order one online and have it I less than a week and get it cheaper. Is it better quality? Absolutely not. Is it a work of art that will last longer than themselves? Hardly. But it is fast and cheap and that is what they want. When I was in my twenties and early thirties I couldn’t have cared less about past styles of furniture, but as I got into my mid thirties, had a family, and wanted to get more serious in my woodworking, I suddenly cared. I have see more broken, cheaply made dining room chairs than I care to mention. My mom (110lbs soaking wet) almost injured herself on a cheap Chinese made chair in my dining room when she leaned over in it and a leg collapsed sending her toppling to the floor. My wife only allowed me to buy a table saw when I promised I would build her our farmhouse style dining room table with it. That table will outlast me, and I get compliments on it all the time. Long story made short, young men/women/chosen pronouns will generally start to care about quality when they get older, buy homes, and have disposable income. Style of furniture favored will vary with the generation and latest trends on Pinterest/Houzz/Instagram. I LOVE Campaign style furniture, but I have moved ALOT and I am biased. My wife hates the style. She grew up in the Deep South so she likes colonial style stuff. As I age, I favor quality over quantity. I chose a high quality tasty IPA over Miller High Life, and I’ll spring for a high quality tool over a cheap Chinese knockoff. The younger generation will do the same, eventually. As a producer/businessman, you have to produce for what the market wants, not what YOU want. 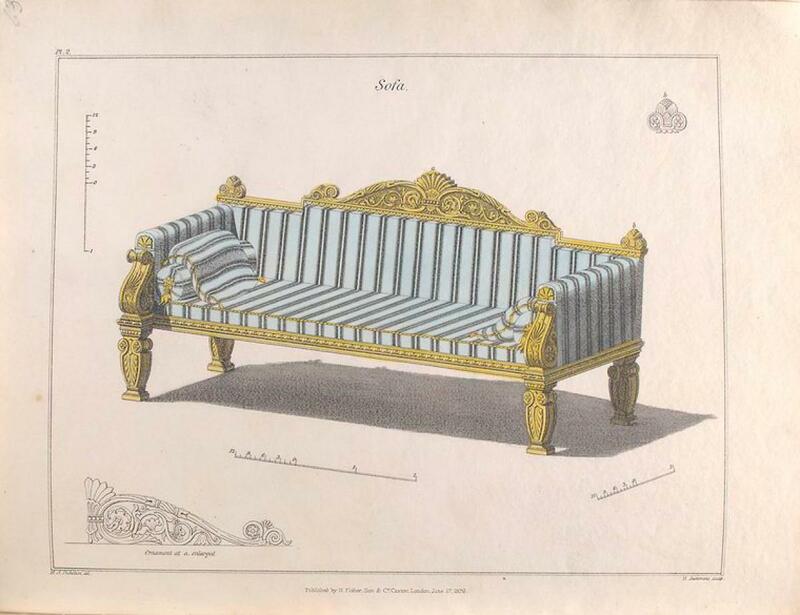 You might have amazing skills at producing Victorian style furniture, but if the market doesn’t want that style, you are going to starve yourself. With two sons, both out of college, one in the military and one in a small house he bought, for both, less is more. Much of their furniture is from IKEA etc... but both asked for live edge coffee tables and both have simple wood benches. As you said Joel, it’s a mobile generation so small hand made end tables, or night stands, or a rocker probably will still be welcome. Dressers, sideboards, China cabinets, curio cabilets, mantel clocks, etc...not so much. They both want “moveable” bars/liquor/wine cabinets.... Go figure! What does my kid want? ... No dead people furniture. Our house is full of the stuff, and I understand his dislike. Major expulsions are reducing salvage from deceased relatives. Our favorite old furniture haunts showcase huge pieces nobody can place in newer spaces. Kitchens still can't be commercially designed compactly; designs are worse than ten years ago. The crap one holds, and spare rooms that hold more useless appliances, only proves our misguided allegiance to junk and lots of it. If I want a decent kitchen I'll design and build it because solutions are not on HGTV, which my wife worships. Regarding your planners... Before I settled into my degreed vocation I designed compact housing units. I worked the planning of those for years on the private side. By the time I retired I despised the work I did. If my work didn't extract the highest costs, or greatest footages, I must have been designing in rural podunk centre, where practicality reigned and municipal ego (or, owners) had not settled. Gad's! I even designed quarter million square feet warehouses to store empty pop cans. There are more stories, and I do have observations related to planning, but you can go see your future in any asian city. I'm middle aged now, but I work with college students and know a lot of recent grads. What I hear over and over from them is that they need affordable, durable furniture. They don't want fancy stuff (they tend to move, and their living spaces are more functional than showy), and they can't afford expensive stuff (they're saddled with debt already), but they do want stuff that won't fall apart on them as they use it. That was my own perspective a couple decades ago, and that's what drove me to get into woodworking in the first place. I needed durable, functional, affordable furniture--bookshelves, bed frames, tables, etc.